On Thursday 2nd March join us for our exclusive accessory evening where we will have everything a bride needs to make her feel fabulous on her wedding day! Suppliers from across the industry will be joining us on the evening to showcase their new 2017 collections at our miniature wedding fair! They will be on hand to advise all you brides on everything from photography and flowers to make up, hair and accessories. Jonathan will be joining us from Rainbow Club and he will be available to answer all your shoe questions. From prices and dye queries to comfort and style..... he's the man for the job! Rainbow Club are the UK's leading wedding shoes designers with plenty of awards under their belts. They have been designing, making and colouring handmade satin bridal shoes since the mid 1980's so they know exactly what a bride is looking for in a pair of bridal shoes. Also on the evening we will have another award winning supplier that is the lovely ladies Liza and Kelly from Liza Designs. They will be showcasing their new 2017 'Liza' and 'Ellie K' headwear as well as some bespoke pieces available to purchase on the evening. Liza designs lovingly hand craft their tiaras with the finest quality Swarovski crystals and pearls for all their beautiful head pieces to match perfectly with your bridal gown. They are renowned and respected in the bridal industry for their fashion forward designs mixed with traditional elements. Still looking for a hair stylist? Then look no further than the glamorous Sara from Hair Raizin. She will be available on the evening for some quick hair trials to check your Liza headpiece suits the hairstyle you've got in mind! She will also take the time to recommend hairstyles to suit your gown, hair and face shape. With over 23 years of experience as a hairdresser and stylist she can do anything from formal up do's to elegant tousled curls. The gorgeous Jolene will also be on hand with make up and beauty tips! Ooh La La is a boutique salon offering a wide range of treatments including lash extensions, manicures, pedicures, make up and eyebrow waxing/threading. They pride themselves on their friendly and professional service. If you've still not found the perfect florist then look no further than Flower Barn. Jenny will be displaying some of Flower Barn's incredible crystal bouquets and flower arrangements. Flower Barn work closely with a lot of local venues to help the whole planning process run smoothly for you and your partner. Jenny and Emma strive to provide an excellent and personal service. With over 40 years experience between them they have the expertise to bring your ideas to life, so come over and have a chat to Jenny about any ideas you may have! Taking photos on the evening will be Kev Bonser of Kevin Bonser photography! His passion is beautiful images and philosophy is 'take it right the first time'. He uses his camera to its full potential and doesn't believe in heavy editing. This then captures the perfect moment for couples on their wedding day, often missed by many on the day! Being super friendly and approachable with a unique style he's just the photographer you're looking for, for the perfect shots of your wedding day that you will be able to treasure for a life time. On the evening we will also have the fizz on ice and have some delicious sweet treats hand crafted by Lorena of Pasticceria Lorena. She takes great pleasure in bringing you traditional hand crafted Italian cakes and pastries for all occasions. Decadent Italian flavours and stunning presentations make her sweet treats unique and luxurious, whether its a wedding cake with a difference or canapés with an Italian twist! The lovely Ruth from Southwell Cakery will also be joining us with her fantastic cakes! Ruth started Southwell Cakery in 2014 as her hobby where her main focus was birthday cakes. However she was soon inundated with wedding cake orders! This year Southwell Cakery became a regional finalist in The Wedding Industry Awards which just shows how fantastic her creative her cake designs are and just how tasty they are! If that's not enough you can enter into our prize draw to win a luxury bridal hamper with a selection of prizes from a variety of bridal suppliers! There's no appointment necessary on the evening so just get the girls together for a fabulous evening full of fun, fizz and food!! We look forward to meeting all you lovely ladies on the evening! #1. Leave enough time to order your wedding gown to avoid disappointment! 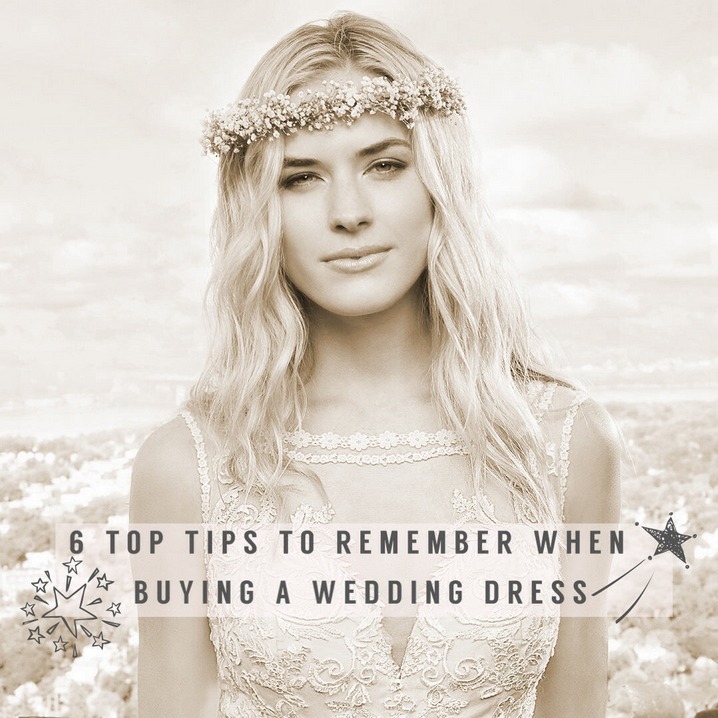 Most shops recommend ordering 6 months or more in advance, especially for a bespoke gown! If there isn't time for an ordered in gown you may have the option of buying a sample gown. #2. We highly recommend making an appointment when visiting bridal shops so you can have a one to one consultation and be sure there is a fitting room available for you to try styles on. #3. Do your research before visiting bridal shops! Think... Have they got dresses that suit my budget? Is it convenient for me to travel to and from fittings? Have they got plenty of sample dresses in my size to try on? Have they got a specific designer I have been looking at? Its always worth giving a bridal shop a quick call just to go over any concerns you may have before making an appointment and this way you can get to know your consultant before meeting them. #4. Come to an appointment with an open mind. Many brides have a set idea in their mind of what they would like but soon change their mind once trying gowns on. #5. Learn to trust your consultant!! They will know the dresses in their shop better than anyone else. Once they get to know your personality, venue and body shape they’ll help you find the perfect gown. They won't necessarily pull out your exact dress from the get go but she will be able to advise and recommend dresses. #6. And finally, remember...... its YOUR wedding dress! Too many opinions cause too much confusion. Only take your nearest and dearest with you as they will support you and your decision no matter what. Imagine the heart ache when finding THE dress only to hear from the groom's sister mutter "Oh noo, I don't like that dress. I definitely wouldn't go for that." Only ask you close nit circle of friends and family and then ask your extended family and friends to come along to fittings! Please do not hesitate to contact us if you do have any wedding dress related questions or you would like any styling tips! A New Year & A New Boutique! Now that Christmas is out the way and the New Year is here, lets start 2017 off with a bang! To celebrate the refurbishment of our gorgeous boutique we're having an exclusive event! Join us on Saturday 21st and Sunday 22nd January where we will be showcasing some stunning dresses from 'Helen Henderson', 'Justin Alexander' & 'Lillian West' to name just a few. Get the girls together and come and surround yourselves in luxury in our new bridal lounge. With a glass of fizz on arrival, special offers available on the day and sweet treats throughout your one to one appointment with one of our friendly consultants... its a weekend not to be missed! Hurry though... appointments only left for Sunday 22nd January. Click the 'book appointment' button now or call; 01636 640057!